My music is an open book into my life, and what I’ve been through, I hope that it falls upon the right ears and shows them what God can do if u allow your heart to be words him. B.D. Kold speaks with Jacqueline Jax about dealing with your demons and how he reaped the rewards of the hard work. These are amazing times we live in with technology and many opportunities for the indie artist everywhere. We spoke about how he got his music video to blow up even after he hit a view plateau also when you know that you are self sabotaging your career and how to face those fears of stepping up to the next level. We celebrated the small wins and let them build confidence so we can move onto huge life changing events. 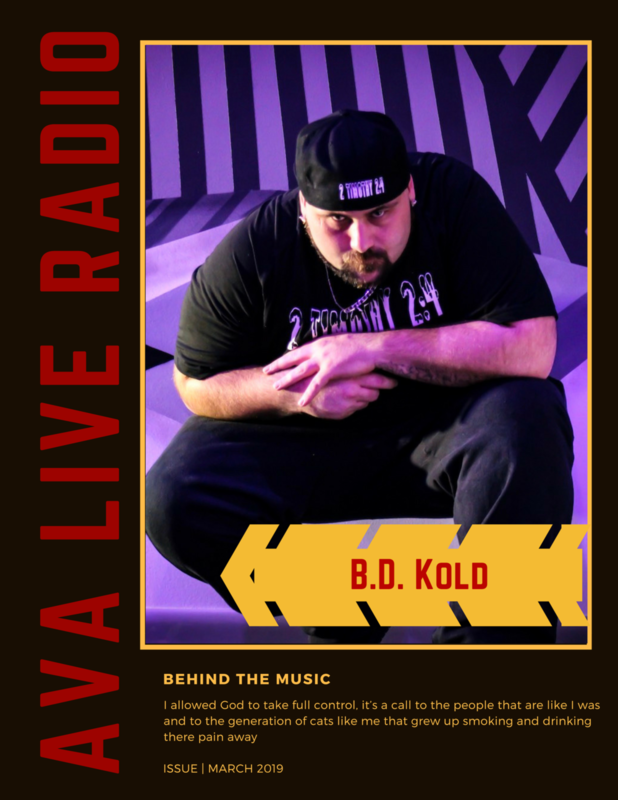 BD Kold also takes about the secret to creating your own beats. (Busy Works beats) How to make a trap beat and develop your own music. this is who I am, this is my personality, it’s a blessing that its had the response it has, this song is produced by drum dummie, recorded and video shot at sock it studios, and engineered by Devon Kirkpatrick, video was shot my video visuals. I’ve always made music since i was around 11, I’m blessed at this point of my life to make music that builds people up instead of tearing them down, It’s rewarding to hear people say hey I was going through it and I turned this song or this album of yours on, I've recently started producing beats, I enjoy brass sounds and the acoustic guitar. as long as you stay true to yourself, there is no dollar sign that can compare.